Teacher confession #1,973,293: I am a horrible artist. Even my stick people look like they fell out of a tree that was frozen solid and hit every branch on the way down. #seriously #kindergartenstyle However, anchor charts are SO important in elementary classrooms so I knew I needed a work around. Guess what? I found it and I'm willing to help all struggling artists out today! You're welcome! It's Meghan from Keeping Up with Mrs. Harris. Today, I am sharing a very well kept secret that those Pinterest Boards do not tell you...if you can't draw, it's ok sister! Yes, I tried my very best! That is all that counts right? So this is the before picture. And NO...HECK NO...this cannot be displayed on a wall. Let's start with supplies because you have or can get those. Clipart is key people! Once you purchase clipart graphics from a store like Melonheadz, your life will change. You will be the talk of the surrounding halls. People will come from all over the building to witness the beauty of your anchor charts. Here's a link to my favorite store. With your newly purchased clipart, print the image enlarged. I typically do 200% and click poster. This will allow the image to be larger than a single sheet of paper. The image you see above is four pieces of paper. YES! 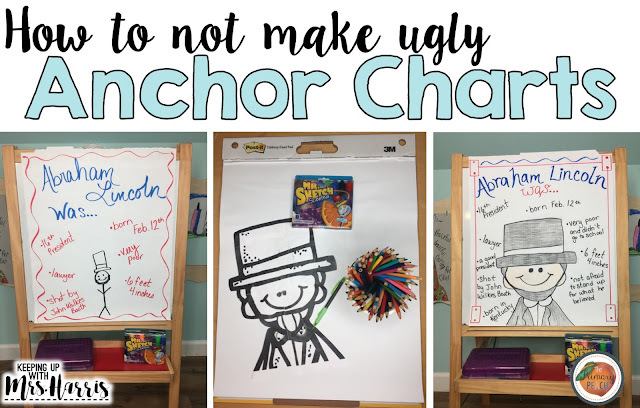 You can make pretty anchor charts! Just give it a try using this technique. 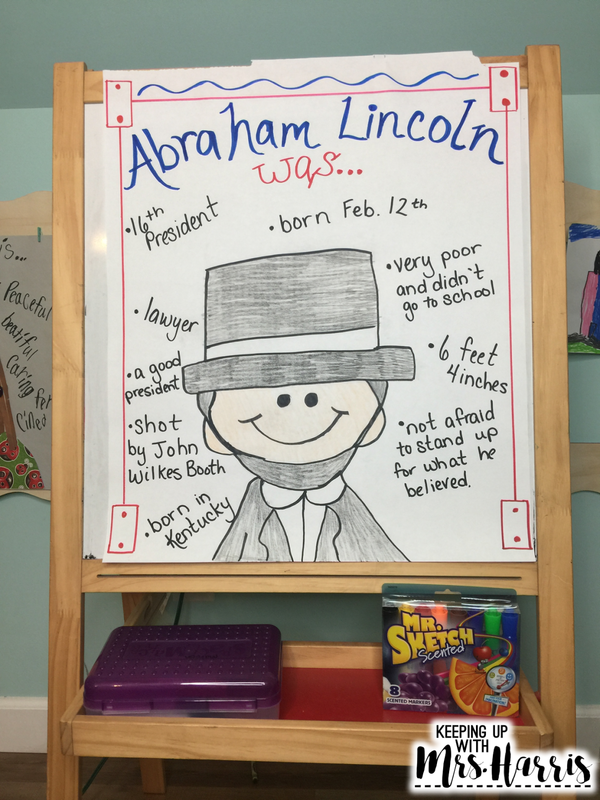 This anchor chart is part of my Presidents Day plans that I am using next week. If you want to see the rest of the plans and grab the #freebie, head over to my website by clicking here. 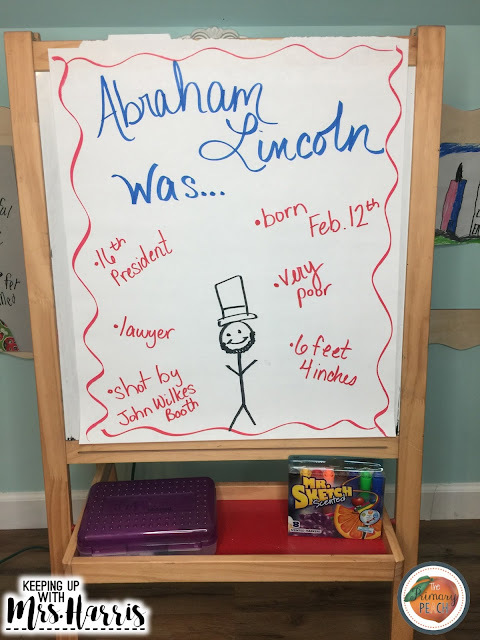 If you need to order anchor chart supplies, Amazon is my go to! Here are a few links to Mr. 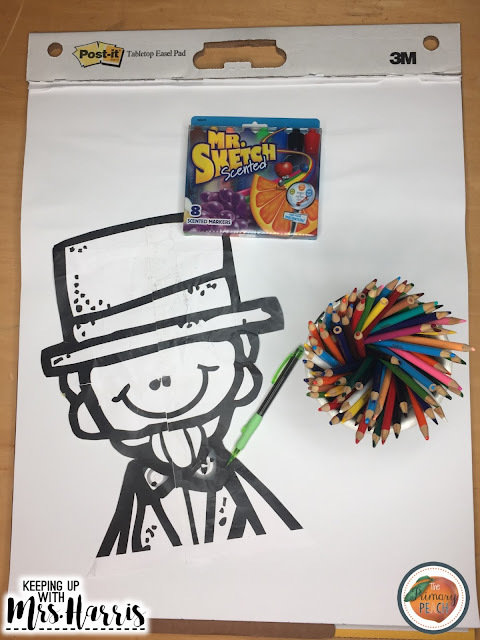 Sketch markers & chart paper. These are affiliate links to help with the up keep of my website. Online casinos support mobile play.